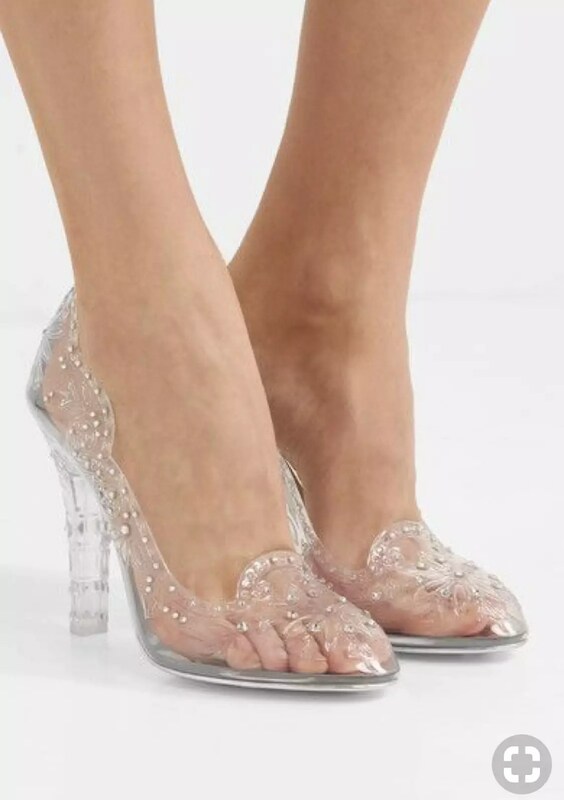 Who did design the very first clear transparent shoes? I think nobody knows the answer but we all do know that they are crazy popular last couple of years. 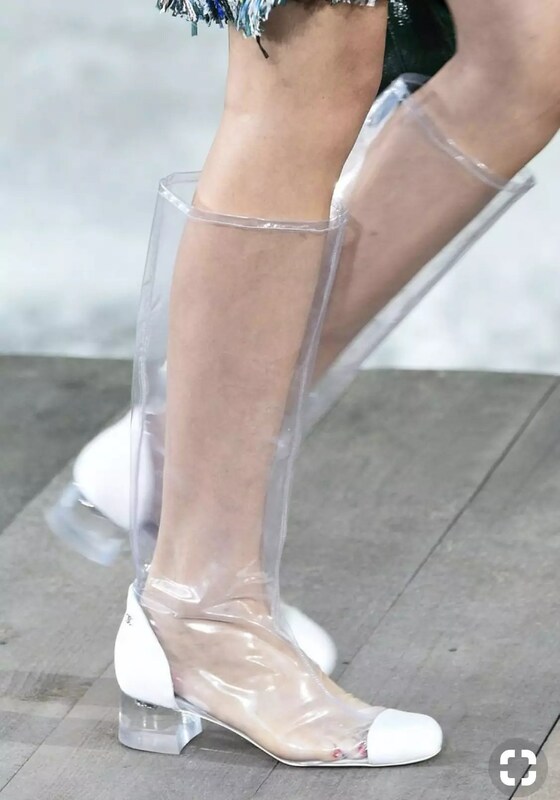 Before Kimye reinvented see-through shoe trend, actually almost all the major brands did clear transparent shoes. 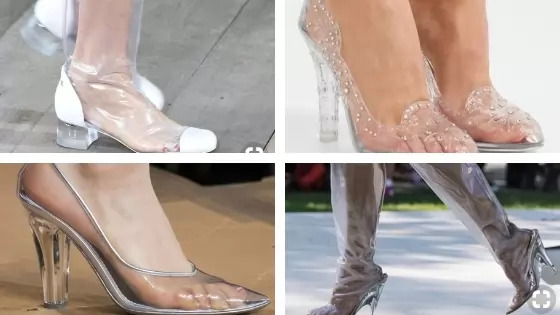 So I did my research on clear shoes and these are the brands come up with idea years ahead of Yeezy. I personally love the trend I definitely end up with the similar style from one of these affordable brands like Public Desire, Raye, Forever 21 . But don’t go crazy over this trend because PVC material is not healthy at all for your foot health. 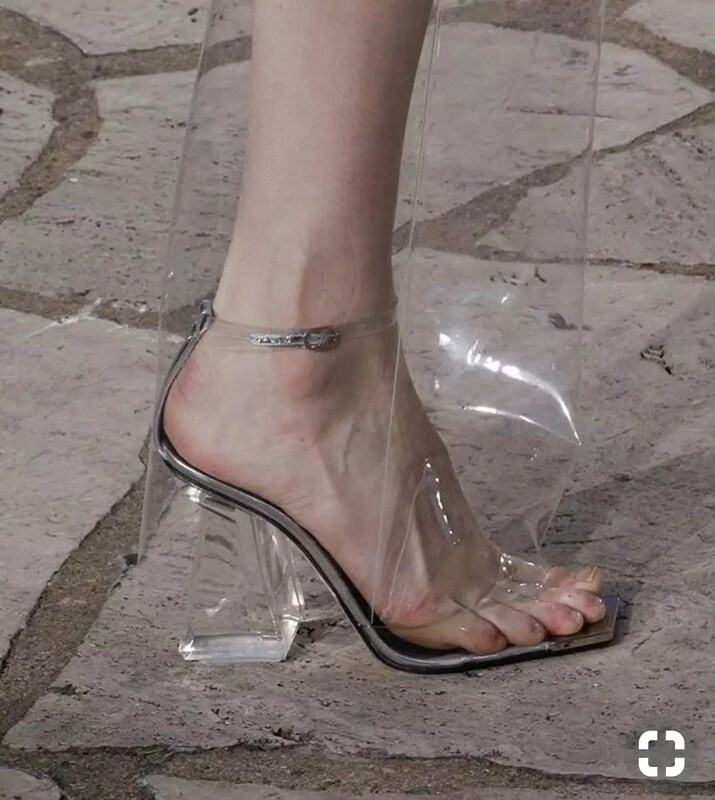 Because this material has nowhere to have breathable texture so your shoes are going to sweat and if you have previous fungus problem they are gonna come back. You’ve been warned!!! 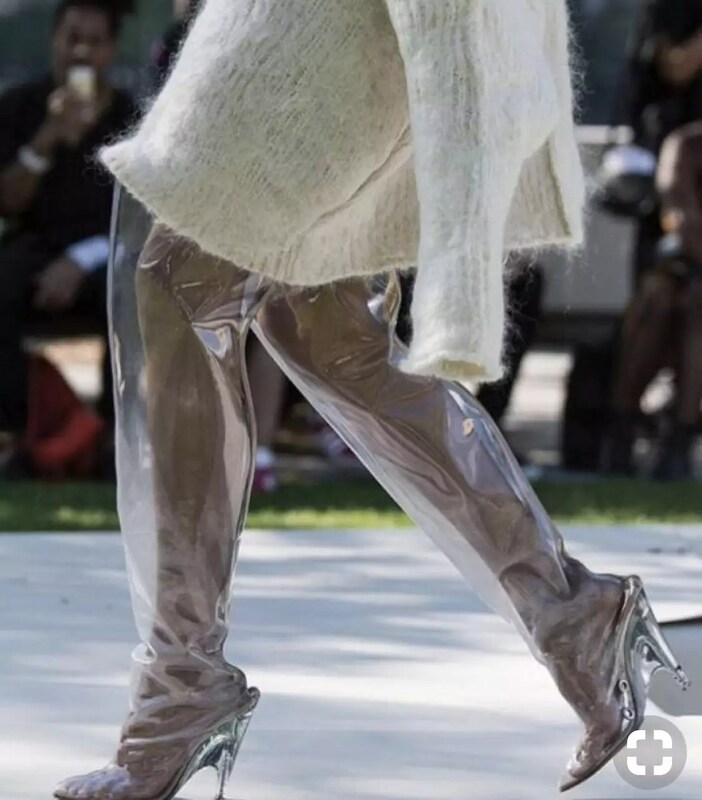 Let’s see go through over “Who did Design the Very First Clear Transparent Shoes?” list. Prada is my favourite brand when It comes to shoes. 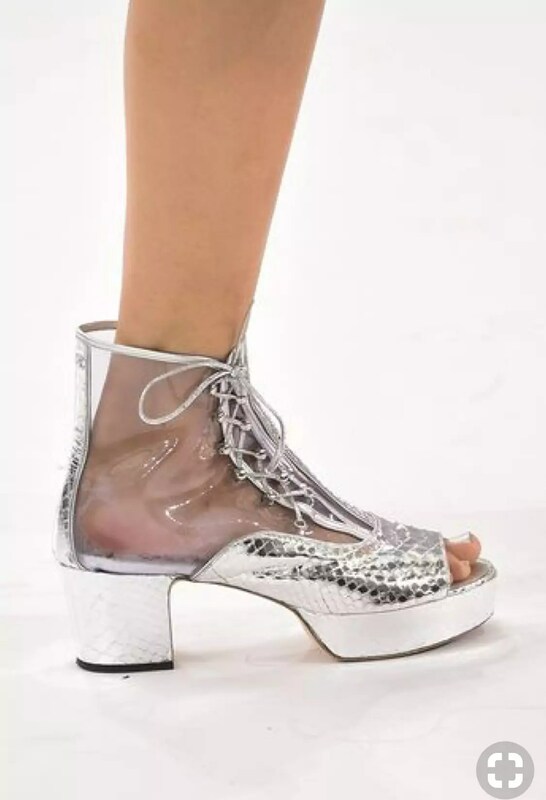 Miuccia has always this great vision of being different when It comes to shoes. 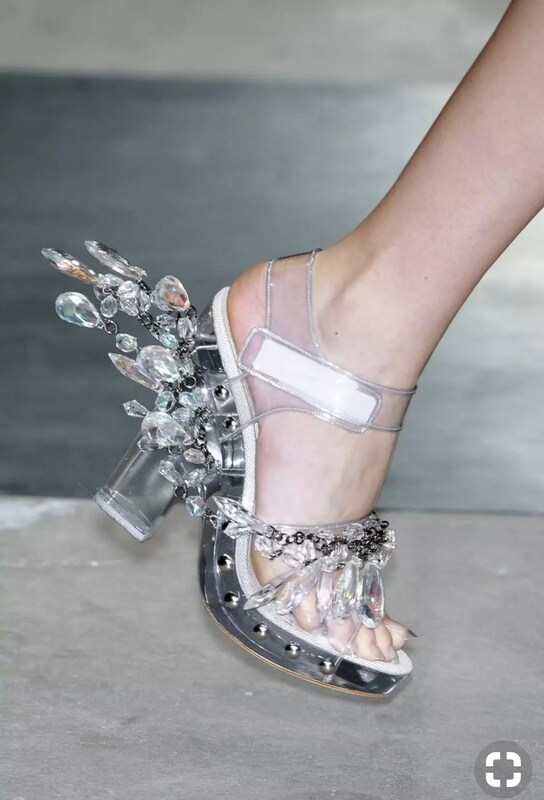 Maybe It’s never meant to be the IT shoes over the years like Rockstud but I think Valentino has one of the cutest see-through shoes design. Loewe is one of the rising stars of our time. And the design definitely tells it is Loewe. Dolce and Gabbana 2016 Fall Collection. 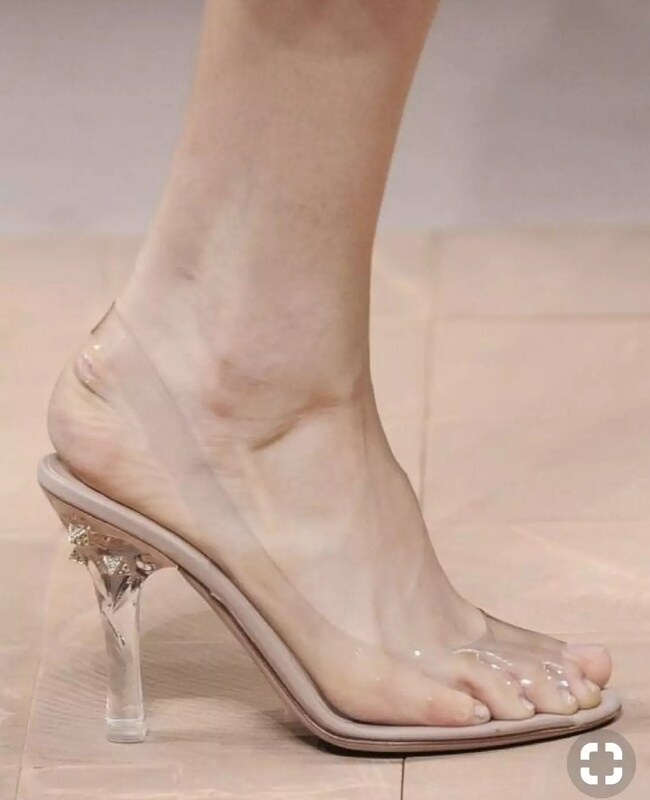 Dolce and Gabbana redesign the shoe. You know what I am talking about. Cinderella’s. Which was kind of fiasco when It comes to the runway show. By the way, you do those presentations to impress people to sell your clothing line right? I hope he knows now. Chanel definitely loves this trend because world loved brand sis use same trend back in 2016, too.